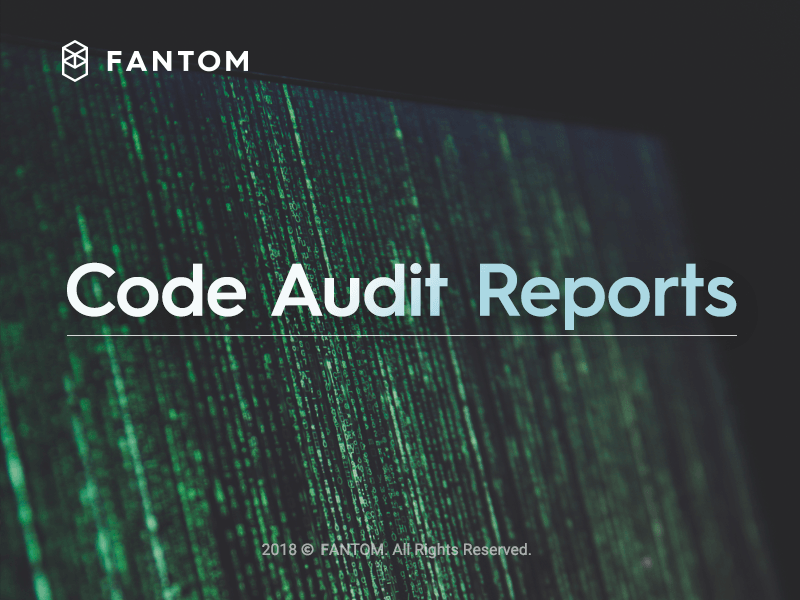 As part of Fantom’s due diligence process, an independent technical audit was performed on Fantom’s Crowdsale code, FantomToken.sol, by Sigma Prime, an experienced Cybersecurity firm specialising in smart contract security and penetration testing. Two audits were conducted. The first audit was conducted on commit: fd6ba0ce529222c7df6199a586edfc16a6a8913c. The review can be found here. The second audit was conducted on commit: 1a7313c7d5da489db2e72a1aa20b2cf38c8fe363. The review can be found here. Sigma Prime’s test suite for audits one and two can be found here and here respectively. Sigma Prime is a Sydney-based blockchain and cybersecurity firm that specialises in penetration testing, smart contract security and designing and implementing security policies for blockchain-based projects, startups and established companies alike.